Staple Pegs are a quality piece of hardware and a great accessory for anyone working on the garden or allotment. Constructed from rust-resistant galvanised steel, they are 10cm (4") wide, 16cm (6") long and 2.9mm in diameter. The two tips sit slightly wider than the two corners to aid grip. They are extremely popular with customers who want to secure their weed control membrane or mulch fabric to the ground. 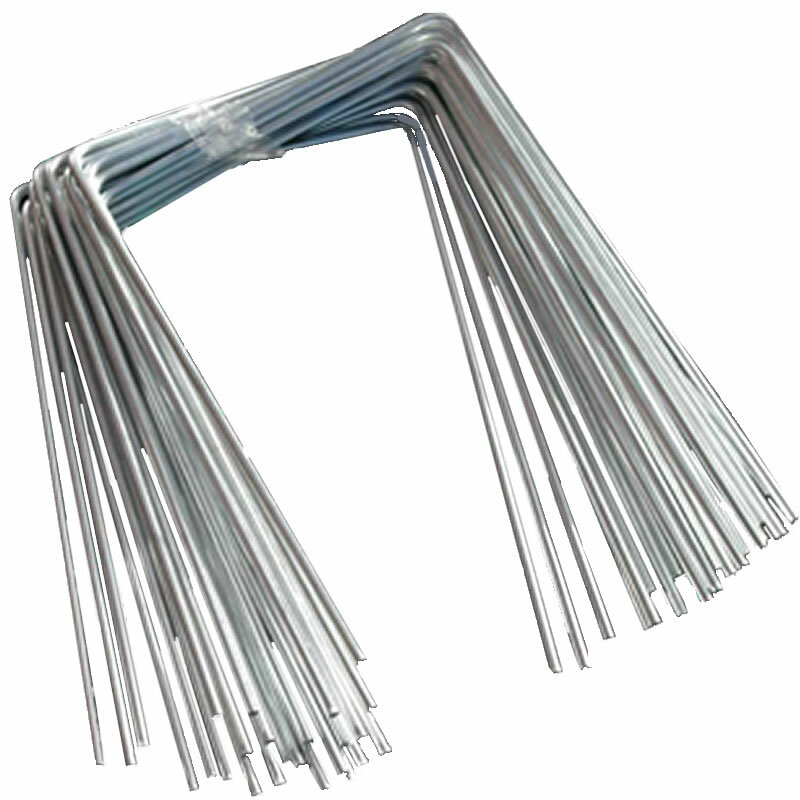 They are a simple but reliable piece of kit that are a more heavy duty alternative to plastic anchor pegs. Though they perform best in light to medium density soil, they are reasonably flexible with a capacity to manipulate more awkward stony ground as well. Once fully inserted into the ground, only the top side can be seen. Because they sit so close and flat to ground, they do not pose as much of a tripping hazard. Of course, they can also be used for other similar jobs. 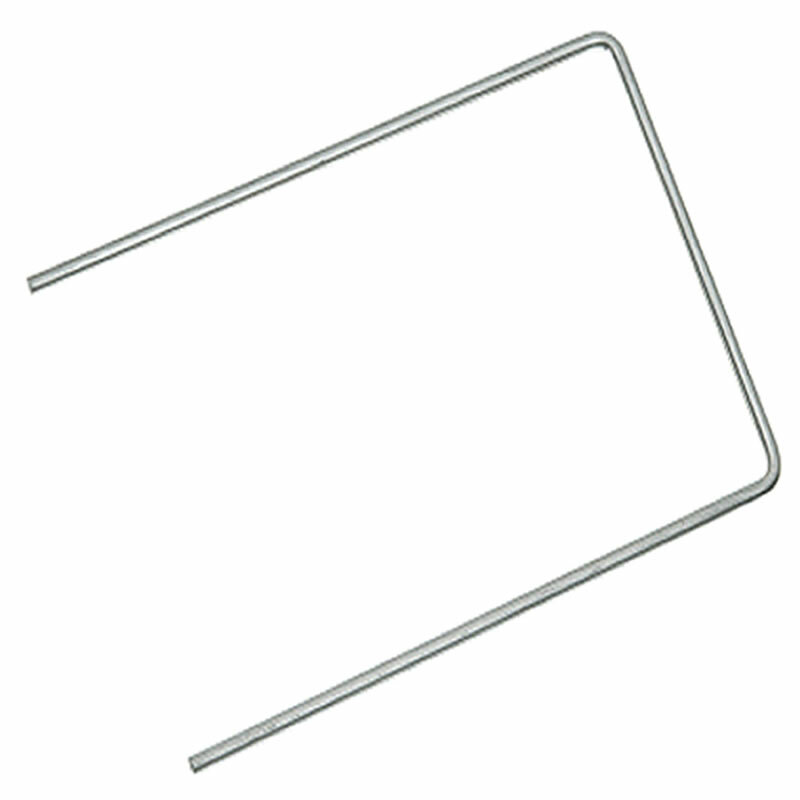 They are a reliable way of pinning down pond, bird, insect or shade netting. Once several are applied, they gain a collective resistance and will not be pulled out of the ground easily. With normal density earth, they can be inserted by hand (failing this, with a rubber mallet). Because they are so small, when removed, the damage caused to the soil is virtually non-existent.